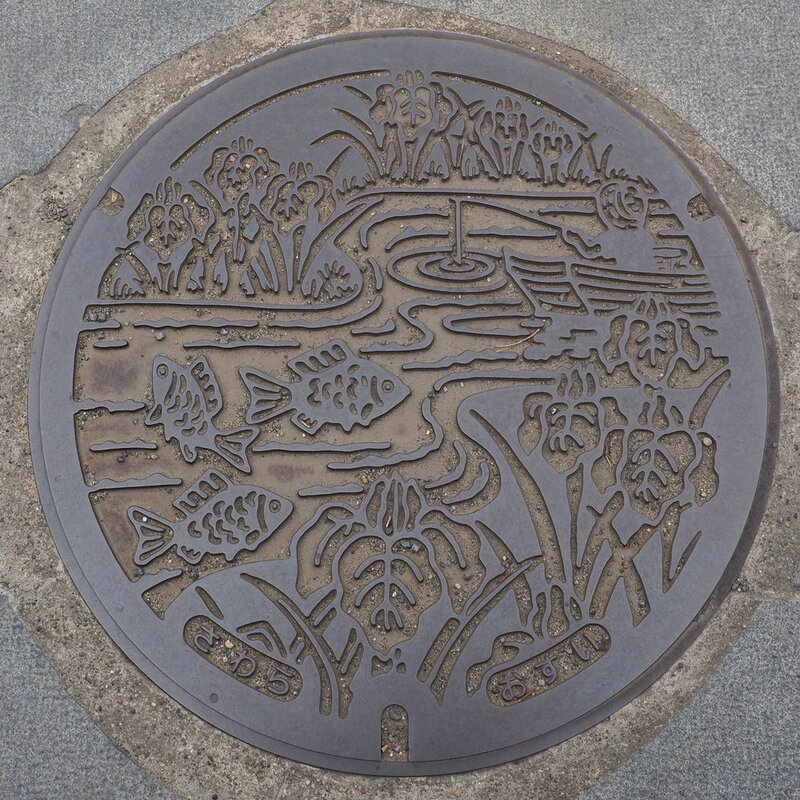 I guess that I shouldn't be surprised that Japan's attention to detail and desire to make all things beautiful would extend to the design of something as mundane as a manhole cover! 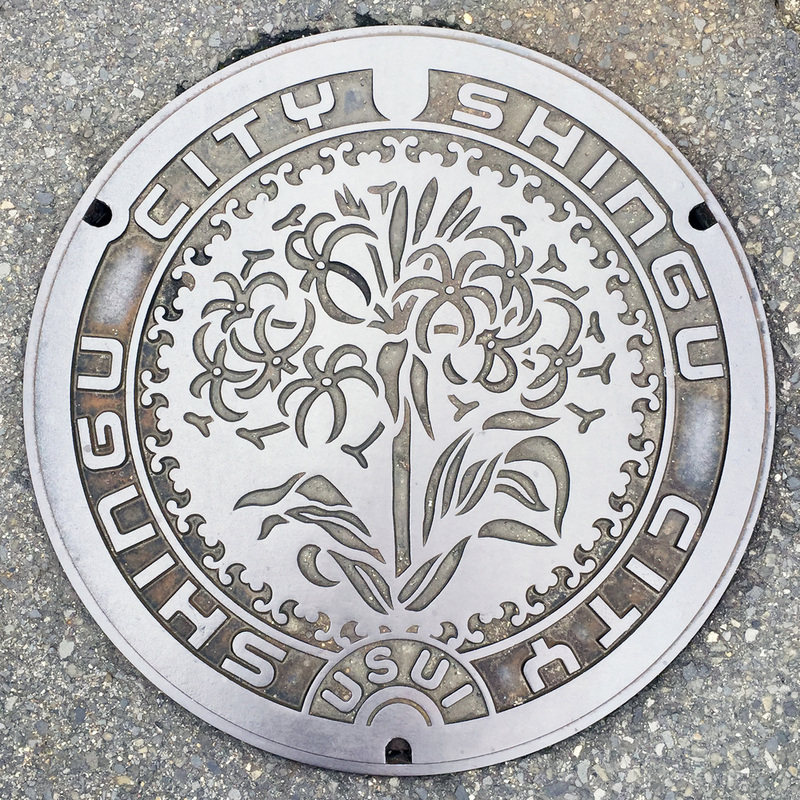 Different towns/areas proudly decorate their manhole covers with designs that showcase things specific to their region. 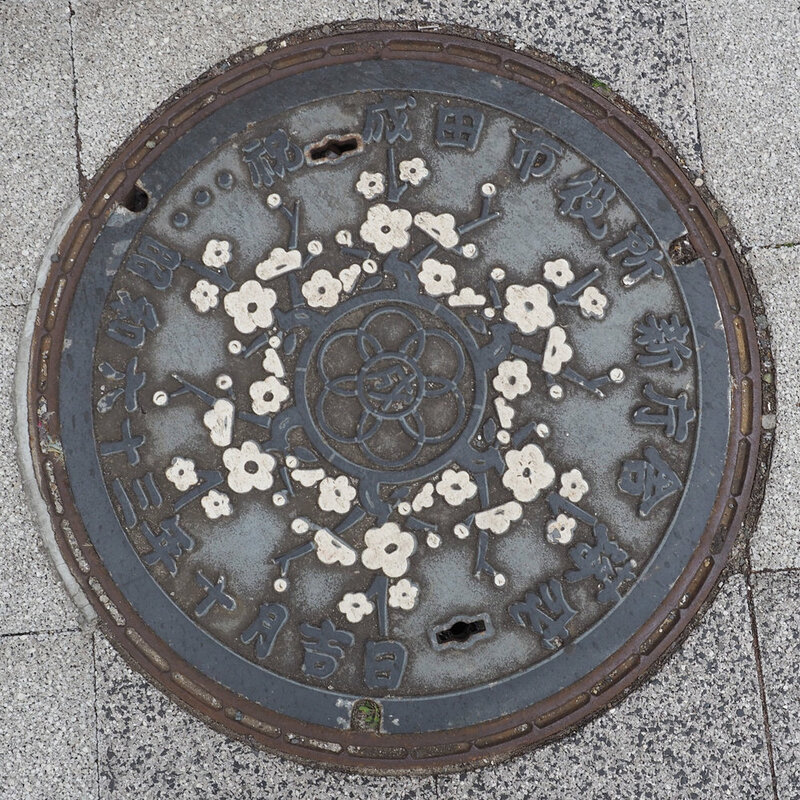 Some are brightly colored and the designs within each area can vary depending on the utility. 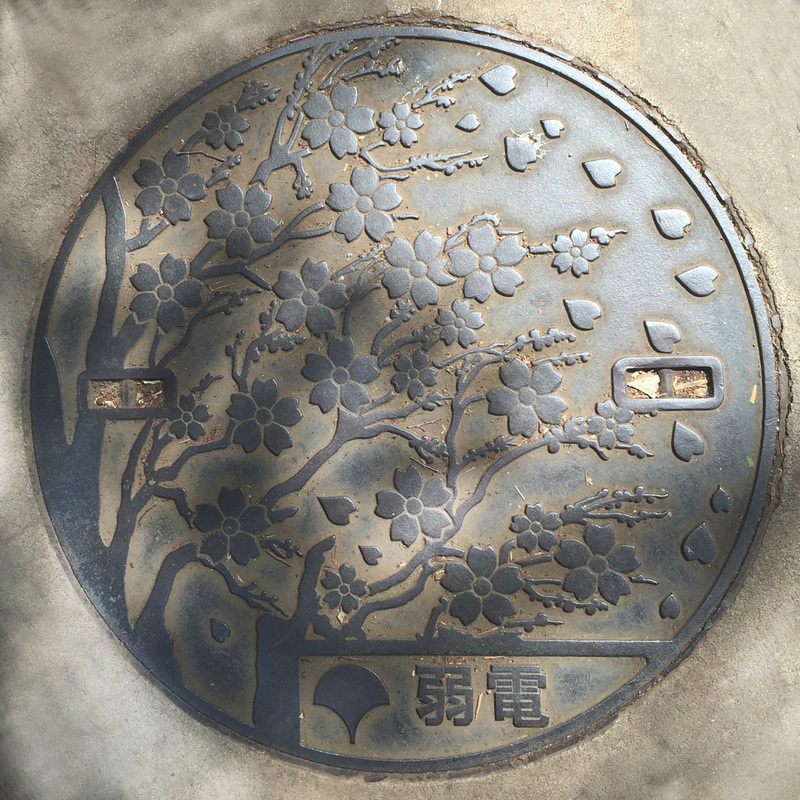 These are a few I spotted in my travels (although I'm sure I passed more but am simply not in the habit of looking down in search of sewer covers!) After seeing some of the different designs I researched them online to find out more about them and to my surprise, read that there are supposedly over 6,000 different ones!! If you think it's interesting, like I did, Google them and check out some of others that people have photographed. There are LOTS of really colorful & beautiful ones out there.